Excuse the tardiness of this post, but I was having computer issues. The Wi-fi was not showing up on my computer. It’s hard to blog without the internet. Talking to others, some were having the issue and some weren’t. Whatever the case, it is obviously working now. While we were waiting for the situation to correct itself, we went shopping for souvenirs, because you just can’t have enough souvenirs from IMS. After that, we went searching for the all-important tenderloin. You know, the classic traditional tenderloin that is only available at one or two stands each year. So far, it has not been found. It may be next weekend before we uncover it. 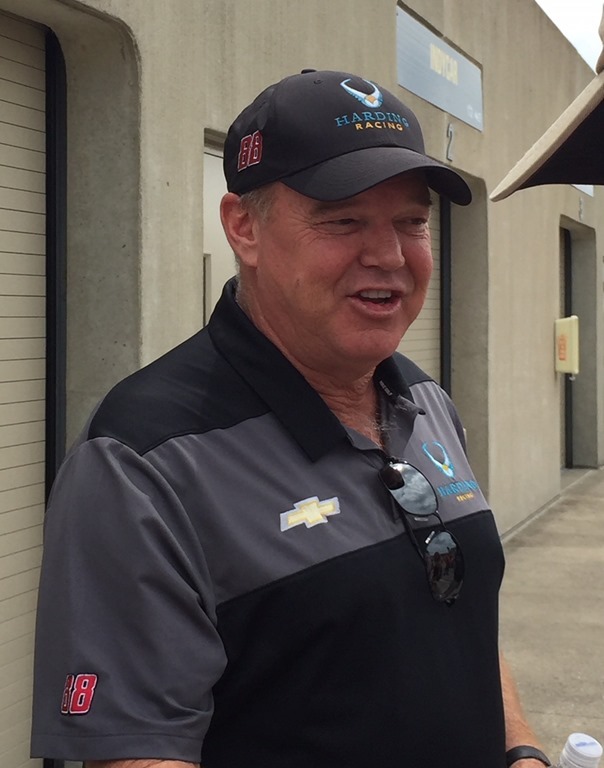 Just a few minutes later, we came across Al Unser, Jr. who was holding court with a bunch of fans. One of Little Al’s best traits is how accessible he is to fans. He patiently answered questions and even showed off his winning ring when they asked him about it. That’s going to do it until after the race, which starts a little more than an hour from now, as I type. Coverage begins on ABC at 3:30 EDT. Check back here after the race. In the meantime, follow me on Twitter at @Oilpressureblog and Susan at @MrsOilpressure. 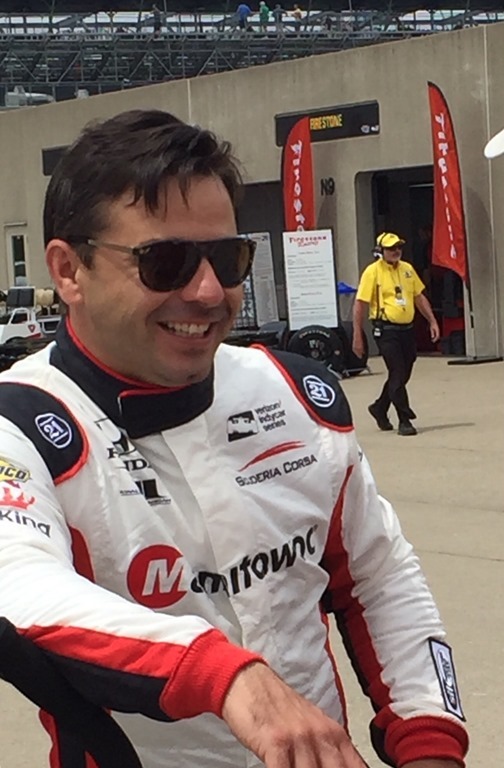 This entry was posted on May 12, 2018 at 1:29 pm and is filed under IndyCar. You can follow any responses to this entry through the RSS 2.0 feed. You can leave a response, or trackback from your own site. I believe I have found at least one spot for the tenderloin. I know you enjoy the search though (as do I) so I will not reveal it unless asked. I also had a tenderloin from the Alley Cafe behind the pagoda and it was not good, it was more like a frozen pork fritter with generic breading. The other one had the proper tasty breading on it and was very good.